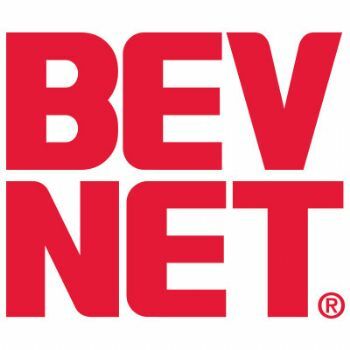 Attendees at BevNET.com’s Beverage School will be able to tailor their afternoons to suit their interests during a series of first-ever breakout sessions during the June 7 day of learning. With a highly experienced staff of instructors, BevNET is offering attendees the opportunity to take a “deep dive” into several subject areas, while also giving them the opportunity to have their beverage ideas explored by veteran investors and distributors during an exclusive “pitch practice” session (business plans for pitch practice must be submitted in advance). After a morning session for the entire body of attendees, and plenty of time for lunch and networking, attendees will be able to set a course for the afternoon. Sales and Organizational Development: Companies interested in developing a strong business operation won’t want to miss “Building and Deploying Your Sales Force,” a presentation and panel run by Bill Sipper, the COO of New Leaf Tea, followed by a seminar run by expert consultants Danny Rubenstein and Janet DiGiovanna of Dash Advisors called “Building your Organization and Keeping Score,” which follows sales force development with a primer on preparing your infrastructure for growth and managing a lean, happy beverage operation. Building – and Packaging — the Perfect Beverage: Entrepreneurs can learn from “Best in Class” suppliers about their options for developing or refining their production strategies. First, experts from WILD Flavors will present “Flavor and Function: Ideas and Trends,” followed by a Q-and-A session featuring strategic planning ideas on methods for developing new products and getting them made in the most efficient, cost-effective manner possible. During the second rotation, AmCor hosts “Packaging & Co-Packing in Focus,” a discussion of the state of packaging options for the beverage industry, followed by a panel on product and label design, co-packing and production management. Strategy and Finance Take a hard look at the way your resources are being deployed in these presentations on two key areas for beverage entrepreneurs: slotting and financing. During the first rotation Debbie Wildrick, the former 7-Eleven beverage category manager, discusses in-store slotting fees, multi-SKU arrangements and the challenges of the multi-channel beverage strategy in this strategic review of the beverage retailing environment. But beyond winning in stores, the battle for winning over investment has just begun – and Andy Whitman, Managing Partner of 2x Consumer Products Growth Partners, will lead an interactive “boot camp” workshop on how to think about, prepare for and secure funding for a beverage business. For both panels, come prepared with questions. Pitch Practice Get ready for your future during Pitch Practice, a live review of your business, product, and marketing strategies. Participants will have the chance to submit business plans or strategies ahead of time for review by a soon-to-be-announced set of expert investors, distributors, and beverage marketers who will spend the rotation period offering advice to individual companies. Stay tuned to BevNET.com for more information about how to take part in this unique opportunity to get help from “The Best in the Business” in a one-on-one scenario. About Beverage School: Beverage School is BevNET’s potent new introduction to the business for early stage entrepreneurs, new employees, and anyone interested in learning the basics of the beverage industry. From learning how to allocate startup money and design your brand label to finding suppliers and building a sales force, the Beverage School curriculum offers a wealth of knowledge and a chance to meet the industry pros who can help a business grow. About BevNET Live: BevNET Live is the premier live event for beverage entrepreneurs and the industry that supports them, offering presentations, panels and discussions that feature up-to-the-minute analysis of retail categories, investment prospects and distribution strategies, as well as case studies in how successful brands are solving the problems of growth in a competitive environment. Complementing the outstanding content, the networking and beverage sampling opportunities afforded by BevNET Live create an unmatched environment for information exchange and community building in the entrepreneurial and innovative beverage arena.